Verbix is designed for students of foreign languages who are tired of browsing grammar books, dictionaries, incomplete conjugation tables and other sources to find correct verb conjugations and spelling. Verbix is a universal Verb Conjugator that shows complete verb inflections of any verb in tens of languages. Unlike any other sources, Verbix for Windows also returns the glossary look-up form from any inflection; you no more need to know them by heart! 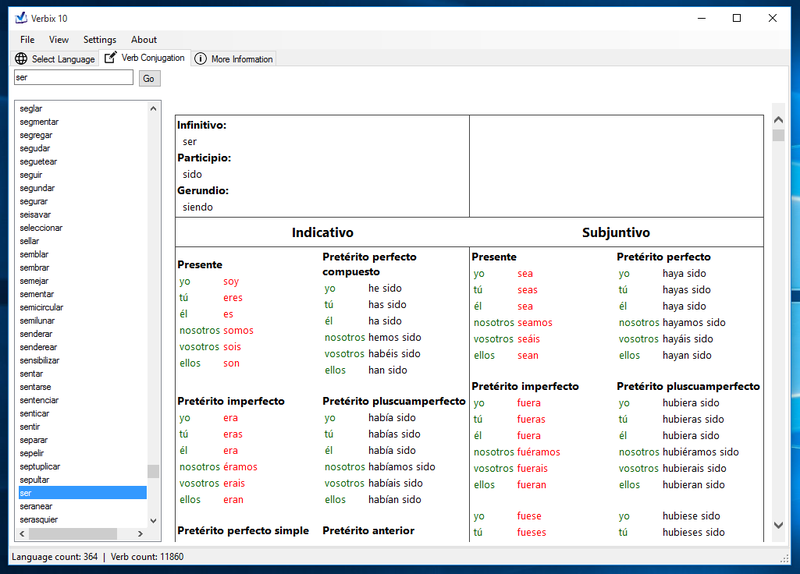 Get the free verb conugator for Windows. Not all languages are complete. Download Verbix for Windows to see the number of verbs in any of languages listed below.